1. No body in the process of producing pocket spring units. 2. Speed: Approx.6 rows/minute, about 4～5 minutes for one mattress(Queen King Size). 3. 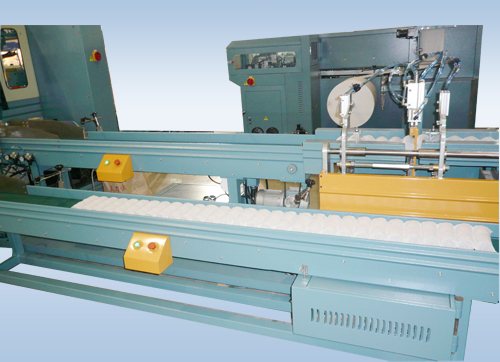 Automatic high-speed pocket spring assembly production line: including pocket spring automatically checking &cutting system, pocket spring buffers, double separate glue application systems and assembly systems. 4. 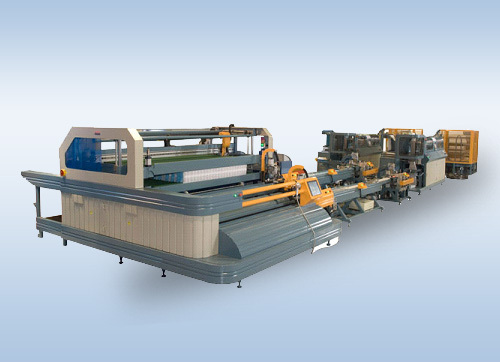 Pocket spring automatically checking &cutting system can automatically check the quality of each pocket spring, automatically count the quantity of pocket springs and automatically cut the pocket spring lines. 5. Double separate glue application systems have two gluing modes to be selected: radial gluing mode and axial gluing mode, it spurts glue along the direction which is across pocket spring when radial gluing mode is selected, it spurts glue along the direction which is paralleled to the axis line of pocket spring when axial gluing mode is selected, the axial gluing mode is a complete new mode which differs from the traditional radial gluing mode. It reduces the glue consumption, increases the using-rate of glue and save the glue as much as possible. 6. 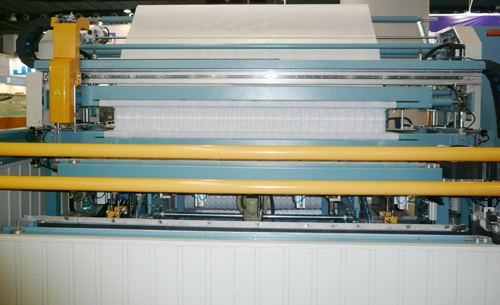 Two conveyors for packet spring run at the same time, automatically assemble two kinds of pocket spring in different sizes(different diameter and height) for one mattress. 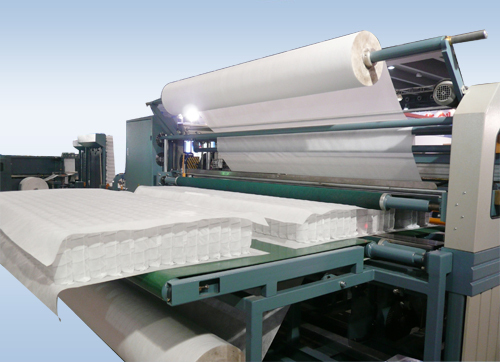 Produces waved mattresses and zoned mattresses to make the mattress manufacturers more competitive. 7. 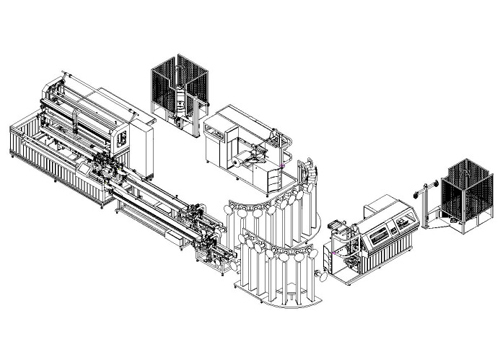 All systems of this production line are managed by the automatic numerical control systems. 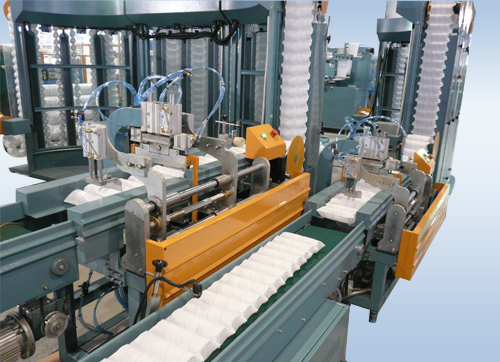 All mechanical motion is adjusted by computer in time when different pocket springs are feed continuously or form different sizes of mattress. 8. 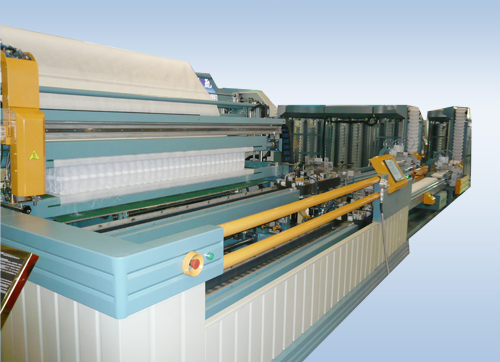 Automatic high-speed pocket spring assembly production line can be connected with two pocket spring machines. It will form an automatic pocket spring production line which comes true there will be no body in the process of producing pocket spring units. 9. Short training/Very easy to operate.